We have all witnessed the massive upgrade in digitalization across India. From digital payments to boost in rural payments bank, Digital India has swept the nation. Whether it be social media or advertisements, digital India news covered everything that fell under the digital India campaign. 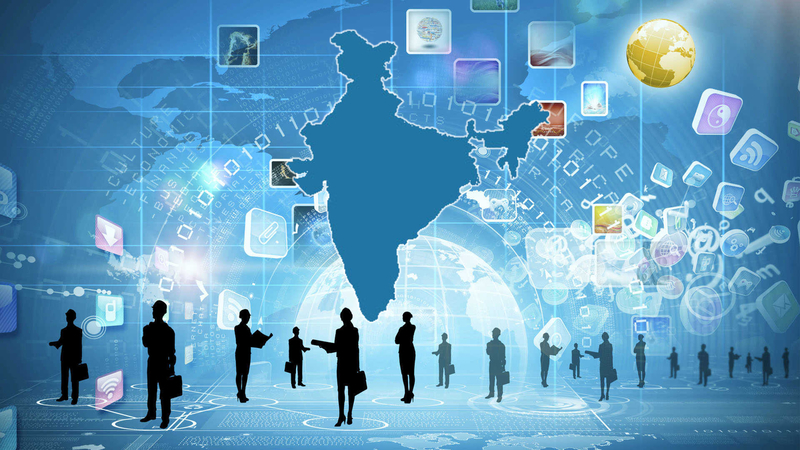 There have been numerous advancements in technology across all possible sectors in India. Let’s look at the select few that made the most impact this 2018 in India. The coming together of IndiaStack, JandhanYojana, and GST, has already made for some fine digital advancement in 2018. We had already seen what GST could do, but the Budget 2018 threw many more surprises when it came to digital India. Digital lockers and United Payments Interface were focused towards digital payments. This year will see its most impact. Education and healthcare are two fields in the public sector area which have been benefitted the most. Next up is the analytics and data-oriented areas. There is reliance on geospatial analysis. This will help absorb insights from satellite data through remote sensing. This analytics data will help in authenticating income tax audits and tracking internal migrations. The same data can be used for monitoring urbanization. This will evolve further through 2018 as a huge digital advancement. Banking sector found a dear friend in digital advancements, with A.I and IoT leveraging cloud-based computing. The digital payments domain is set to benefit most from this. The adoption of Blockchain with regards to cryptocurrency is not expected to happen at least this year, but its implications on digital economy around the world are not to be fending for long. Can 2018 be the year for cryptocurrency? Only time will tell. Blockchain thrives on transparency, which will disrupt technology towards financial transactions, probably by 2018. It will, however, seep into digital India through P2P lending and crowdsourcing. Biometrics is set to make recognition of voice, face, and iris, eligible towards wallet-free shopping. Authenticated payments are set to increase tenfold with the booming of mobile, and cloud technologies. A large number of startups are working independently to make it easier for the end user. Healthcare in India has seen a deployment of automation at hospitals and provide service to hospital data centers. Enterprise Resource Planning or ERP has also gotten a fillip. Disaster recovery centers, backup facilities, and device monitoring dashboards have ensured the smooth functioning of infrastructure in healthcare and seamless tracking of patients. Electronic health records can be made digital with an improved queue management for quicker service. Blockchain can be intended to use here as well, with convenience and patient medical care also getting a boost in service. Wearable devices are now telling us how much we walk and this helps us to improve our perception of health. Tele-radiology, teleconsultation, and telemedicine are sure to get a devastating boost in service this 2018. Cloud-based technologies will ensure that there is a spotlight on customization and affordability. This will influence the efficiencies through a supply chain. The automobile industry will accept A.I as the tool to provide a boost to its sector. The automobile industry has been a terrific mainstay in our country, and its pioneering technology is set to improve innovations in India. Cost effective IoT sensors are set to further aggravate the adoption of a digital twin concept. This boosts smart asset managing and improves operational efficiencies. Driverless bikes and cars will be teased during 2018, with a biofuel car also in the works. Although these are currently in the prototype stage, their success will be a huge boost to the automobile industry in general. Electromobility will lay the foundation for further deployment starting 2018. AR and VR are set to disrupt the manufacturing retail space. More and more retailers will accept technologies to experience ease and convenience. Unmanned drones are set to be employed to spray pesticides as well as industry inspections. The adoption of image recognition, voice recognition, and natural image processing has all come to serve the needs of the agricultural sector. 30 additional cities in India are announced as cities to be developed under the ‘Smart City’ program. The total now stands at 90 cities. The project is backed by the government and is set to include the implementation of a number of technologies towards bettering the cities and make them on par with global quality. The ecosystem of applications and technology are set to make for better power management, traffic management, waste management, parking mechanisms, water maintenance and intelligent lighting. These are not the only digital advancement that has either been initiated or in the pipeline,important digital India news is sure to make for great reading in 2018. When it comes to logistics, cloud computing, IoT, and warehouse operations are set to enable shipment tracking and operations.